Share Cardo and Friends's EPK! 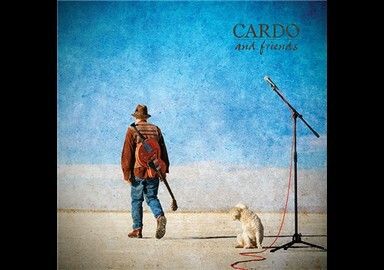 "Cardo and Friends" (self-titled) debut album, 15 tracks released September 2012. "Christmas Eve Alone" single released to radio with promotional video, fall 2012. Cardo made his career as a concert promoter, starting with the first US tours for Rush and Heart in the mid-1970's, through the first tours by the reunited Eagles in the mid-90's before retiring in the early 2000's. 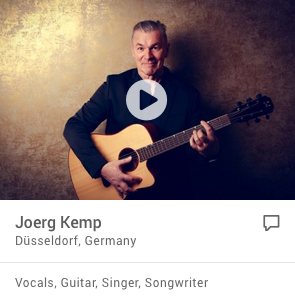 Throughout his career he nurtured a keen storytelling instinct and a passion for playing music, which first manifested while he was in college through impromptu acoustic gigs. In the early 2000's, after enduring the painful loss of his parents, Cardo found himself boiling over with songs and an overwhelming motivation to express them. In 2007, he began working with legendary producer David Kershenbaum, whose coaching and guidance have culminated in the recording and release of “Cardo and Friends”. David Kershenbaum: Producer, mixer and backing vocals – legendary producer and music executive whose career spans 4 decades, 75 gold and platinum records, multiple Grammy Awards and an Oscar Nomination. David’s productions are responsible for millions of dollars of record sales around the world and his touch has aided or rocketed some of the biggest names in the business: Tracy Chapman, Joe Jackson, Janet Jackson, Bryan Adams, Cat Stevens, Duran Duran, Tori Amos, Blessed Union of Souls. As a film executive David supervised the music for hit movies such as “Robin Hood: Prince of Thieves” and “Last of the Mohicans”. Mitch Perry: Associate Producer, Musical Director, Electric and Acoustic guitars, backing vocals – Mitch’s career as a guitarist stretches back to the early 1980's working with Edgar Winter, Heart, Alphonso Johnson, Graham Nash, Glenn Hughes, Michael Schenker (MSG), Lita Ford and Cher. Mitch is a versatile, talented player and songsmith, able to find the right tone and texture to suit the song and the performance. Jorgen Carlsson: bass – LA-based session musician and studio owner, Jorgen is the bassist for Gov’t Mule. Denny Fongheiser: Drums, Percussion – Denny’s discography is a who’s who of modern music, playing with artists such as Tracy Chapman, Stevie Nicks, John Paul Jones, Seal, Counting Crows, Bruce Springsteen, Roger Waters and Freddie Mercury. Doug Pettibone: Steel guitar – Doug most recently has been working with John Mayer but has credits including Jewel, Lucinda Williams, Tracy Chapman, Ray LaMontagne, Norah Jones, Mark Knopfler, Sting, Steve Earle, and Elvis Costello. He said, can you help me out before you go? What are you going to do when you run into someone like that? Whadda ya gonna do ? Do you avoid his eyes and look at the sky? Do you look away? Will you trade places with him for the day? What kind of good would it do? Are you really secure on the corporate team? Taking all you could get, feeling justified? What drives them to pull the trigger? What demons do they hide? Are they really worth your life? Can you even tell if anybody won?